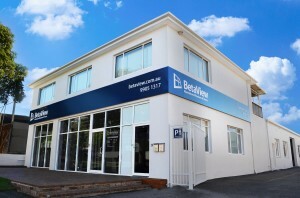 Brookvale – and the area of Warringah – is one of BetaView’s busiest suburbs, and with our award-winning showroom located here, we’re passionate about helping locals improve their homes. Part of Sydney’s coveted Northern Beaches area, Brookvale is a lively suburb located a stone’s throw away from the gorgeous beaches of Manly, Freshwater, Curl Curl and Dee Why. Many of our clients want to take advantage of the breezy, coastal lifestyle, which is why they get in touch with us to help them improve the comfort and lifestyle possibilities of their home. If you live in or near Brookvale and would like to see how a new set of aluminium doors and windows can greatly improve the appearance, enjoyability, safety, security and overall style of your home, get in touch today to book your free-in-home consultation. You’ll be provided with expert advice, and in most cases, a full comprehensive quote right there and then, on the spot. At BetaView, we have a wide range of styles and designs to suit your individual tastes, as well as the existing style of your home. From louvre windows and bifold doors, to classic sliding and hinged designs, all of our products are custom manufactured to order at our Sydney factory. Our windows and doors can also be fitted with almost any type of glass, and we can help recommend which will be the best and most cost-effective, depending on where in your house your windows and doors are being fitted. In the meantime, you can check out our windows and doors glass guide. Want to come and take a look at some of our window and door designs in person, and have the chance to test out how they operate for yourself? Why not pay a visit to our window and door showroom in Brookvale? BetaView’s Brookvale showroom recently won the Showroom of the Year award at the Australian Window Association annual conference. The judges loved the clean and consistent layout, comfortable meeting areas, and the kids playroom – And we’re sure you will too. Check our showroom opening hours, and pay us a visit today to 15 Dale Street, Brookvale. We also have a smaller factory showroom at 6/9 Kurrajong Road, St Marys. Call us on 1300 44 64 44 to book your window or door quote in Brookvale today.